I am the very proud owner of CexeCells Skin Care, I began my career in July 2014 with a long time dream of becoming an esthetician. I have been receiving facials for over 25 years and decided that I wanted to learn why products work and what products are good for what type of skin. At the age of 20 I had my very first facial, my skin was breaking out and I thought this would fix me right up. Although it did help, I didn't receive the understanding of why this was happening neither was product recommended for me. It was very frustrating, going to see my therapist bi-weekly being tortured with extractions with no reason as to WHY WHY WHY!!! Luckily I found a wonderful therapist years later (my skin had cleared up by then) she was informative and she did recommend products, but I just bought them and didn't ask questions, until in my late 30's (anti-aging now the focus). Now I know!!! It interested me so much that I had to learn more.....so off to esthetics school I went. 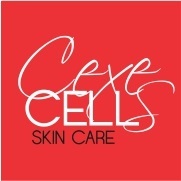 After graduating I decided to engage in a new business strategically named CexeCells SkinCare. Every one should be able to feel CEXE. Now as a NYS licensed aesthetician, I have decdied to dedicate my career to helping people with the same questions. My services include facials for the face, back and body ... even those intimate areas. Every service is performed in a professional manner while genuinely caring about your skin. CexeCells Skin Care has a mission quite simple; to give you the finest service in skin care, to deliver the most relaxing treatments, to recommend quality products and only to use the latest cutting edge technology in beauty treatment. For more information, please contact me at 631-560-3139 to schedule an appointment or ask any questions, I honestly look forward to hearing from you soon.